Our February Meeting was centered on a topic that effects all businesses, in all industries: bridging the generation gap(s) in the workplace. Every generation has different leadership, communication and career development styles. With that being said, it can be difficult to assimilate each generation into the workplace. Our meeting speaker did a great job in outlining each generation in regard to their unique needs and how to implement policies and practices that will meet those needs. Attendees walked away with a better idea of what motivates their employees and/or colleagues. This year we decided to put a twist on our annual cocktail party by hosting a beer tasting event at Big aLICe Brewing Company! The event sold out within weeks of being posted to our website. Although I was unable to attend, I was thrilled to hear that everyone enjoyed themselves and was excited about the new events MACC was offering. It was a great way to start off the Summer! Another great Summer event, that is always enjoyed by all, is our Night at the Mets. Every year we sell over 1,000 tickets to members, their families, friends and colleagues. The event was graciously sponsored by long-time supporter, ABCO, and American Standard Heating & Air Conditioning. In August, we had the honor of hosting our Golf Outing for the 40th year! This is a long standing event that everyone looks forward to each year. Although the temperature reached a scorching 94 degrees, we still had a great turnout with over 125 golfers! This event would not be the success it is without the continued support from our sponsors and members and for that, we thank you! The other component that also makes this event so special is the charitable contribution we make every year to Make-A-Wish. It makes me so proud to know that MACC supports such a great charity. These are only just a few of the great events we hosted in 2018! We are definitely looking forward to 2019 and all the exciting meetings and events we have planned! Be sure to visit our website to stay up to date on any upcoming events and news. Closing out 2018, also means the end of my term as President of the Metropolitan Air Conditioning Contractors of New York. I am grateful to have the opportunity to be President of this organization. Over these two years, I have seen such growth in MACC. None of which would be possible without the support of our membership! Thank you to our members and sponsors for their continued support. I would also like to thank my fellow board members for their time and dedication. I look forward to seeing everyone at this year’s holiday party! 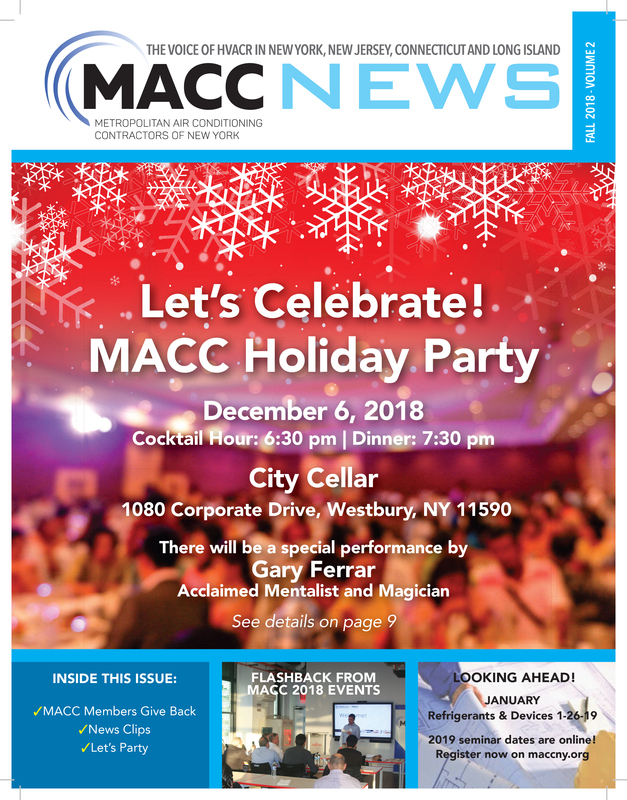 This year’s party will be held on Thursday, December 6th at 6:30 pm at City Cellar in Westbury. 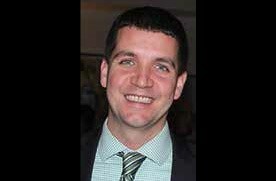 We have added entertainment to the event this year and will have a special performance by Gary Ferrar, an acclaimed magician, who has performed for clients like Google, Macy’s, Morgan Stanley and Buzz Feed. Don’t miss out! Be sure to RSVP on our website!